Yesterday, Día founder Pat Mora kicked off the Día Blog Hop with a post on Latinas4LatinoLit.org. 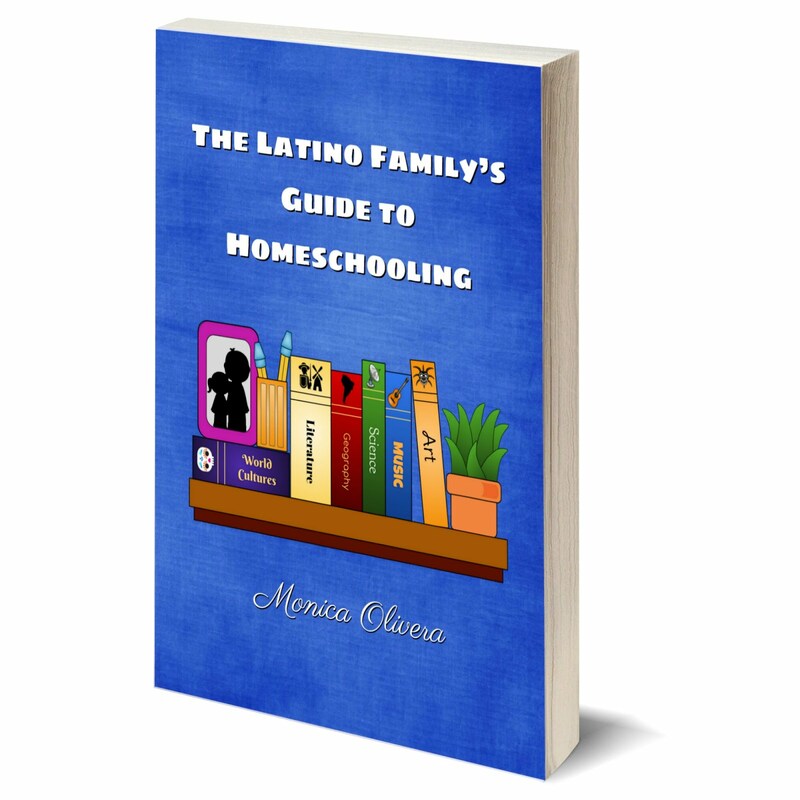 As a co-founder of Latinas for Latino Lit, the blog hop is one of the events that makes me proud to be Latina and a champion of literacy for our children. Back for the second year in a row, the blog hop features a different Latino author or illustrator on a different blog every day this month starting on the 6th. You can find the full schedule here. All of the guest writers were asked to write on the topic "Reflection." 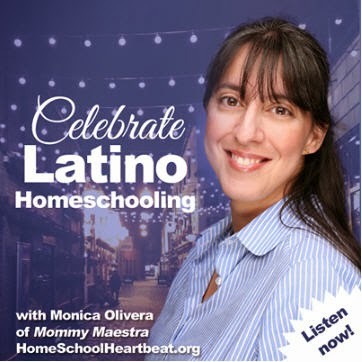 Today on MommyMaestra, author Amy Costales reflects on her reason for picking up a pen to write for Latino children. I hope that you are as moved by her article as I am. The issue of reflection, or rather the lack of it, for my daughter, her friends, her cousins and my students is what lead me to write. I knew a group of children who were caramel-skinned, spoke Spanish and shared housing with extended family members. I watched them use the word American to mean white, draw themselves blond, hesitate to enter parks where everyone else was white and looked at us weird when we spoke Spanish. It was the 90's and Proposition 187 had just passed in California. There was an animosity in the part of Orange County where we lived that you could see, feel and hear in the schools, in the store, if you went to the wrong beach. I started writing. I wanted to portray the Mexican immigrant community that most the children I knew, including my daughter, were growing up in. I wrote about shared housing, a relative coming from Mexico, families working together, a loved used car, uncles who live in the garage to keep their rent cheap, undocumented immigration, children who sleep on pulled out mattresses in the living room, fathers who work two jobs, single mothers and, most importantly, love. Children coming from those backgrounds deserve to have their lives portrayed as normal. I wanted to write those books for those kids. The daughter that once inspired me to write is older than I was when I first grabbed a pencil and a notebook and started my first attempt at picture books. Her cousins and friends that also inspired me grew up and went to college in places like Cal State Fullerton, Brown, UC Santa Barbara and (due to deportation) Tamaulipas, México. I got busy with an M.A. program and then with the efforts to start a Spanish for Heritage Speakers program at the University of Oregon where I work. Twenty years have slipped by. And yet the lack of reflection has not been resolved. This trimester I asked 60 young Latino college students if they learned about the Bracero Program in their K-12 education. Only two said yes. Half of these kids were participating in a UO high school equivalency program for students whose families did agricultural work. Of the other half, most of their families had done agricultural work. More importantly, when I asked them to look into their families pasts, most of them had Bracero grandparents and sometimes also great-grandparents. Their family stories included two, three or four generations of crossing the U.S. border to work in los files (the fields), mostly starting with the Bracero Program. When we studied the program and listened to the family stories, one young woman said, "Me siento robada de mi historia." She should feel robbed of her history , or her story, because in Spanish they are beautifully the same word. The Bracero Program brought 4.5 million people across the border and created transnational Mexican communities. It is a vital piece of history in understanding immigration and the growing Latino population today. How is it possible that year after year most of my students say they have never heard of it? I am using the Bracero Program as an example of a greater problem, which is a lack of representation of Latinos in history and literature in our K-12 programs. And yet it is not just Latino students who are robbed of this history. It is a nation. It is not just Latino students who are robbed of their reflection in literature. It is a nation. 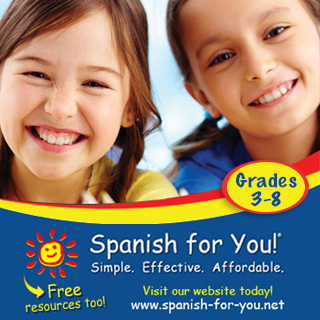 25% school-age children in the U.S. are Latino. By 2050, that number is predicted to be closer to 50%. To ignore Latino history and literature is to ignore la historia of a very significant segment of our population. It is equivalent to a nation not seeing its true self. As we go through this significant demographic shift being brought on by an aging white population and a young Latino population, an accurate reflection of nation would facilitate the change. I am no longer just concerned about how Latino children see themselves. I am concerned about how a nation sees itself. Latinos are part of the "we" that make this nation, as are all ethnic groups. Personally, I am feeling the need to pick up my pencil again. I feel sad that I still have Latino students who use the word "American" to mean white. 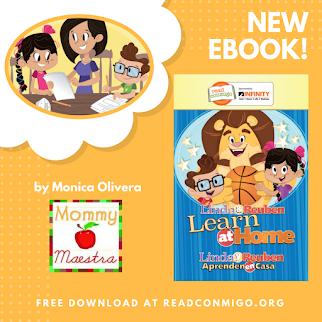 And if my daughter has grown, I now have a bilingual son who deserves a book about his life with his part Latina mother and his Mexican stepfather, as well as his Italian-American stepmother, and his Scandinavian-American father. He is as complex as this nation. This time I am going to think about the complexity of the Latino population itself, for as we write (or read) about Latino children, there is a diversity in regards to family, ethnicity, generations in the U.S., region, language, and social class that needs to be portrayed. It is a mosaic. 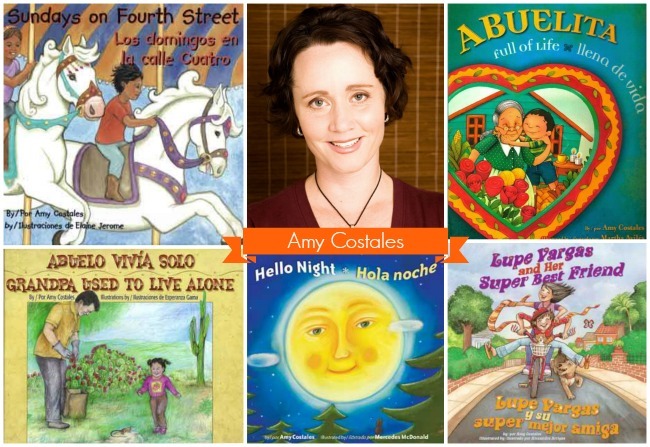 Amy Costales is an award-winning bilingual children's author. 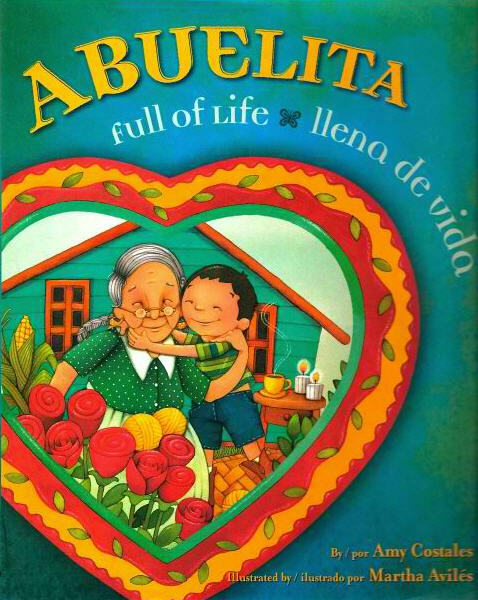 Her picture books include Hello Night~Hola noche, Abuelita Full of Life~Abuelita llena de vida, Lupe Vargas and Her Super Best Friend ~Lupe Vargas y su super mejor amiga, Sundays on Fourth Street ~Los domingos en la calle Cuatro and Grandpa Used to Live Alone~Abuelo vivía solo. She teaches Spanish for Heritage Speakers at the University of Oregon. Learn more about Amy and her books on her website, AmyCostales.com. This article really moved me! I came to the States legally, I came with an education and with the doors open. I met so many Latinos that opened the door of their houses and gave me a bed to sleep without even thinking if I was legal or richer. They saw me as a person, as an amiga. I often translate for a farmer friend, it amazes me how much Latinos work and how hard they try to improve their life. I have seen and lived how racist people are, They criticize your race, your legal statues, your looks, your accent, and even make you believe that you are less, when in reality you are potentially as smart and capable to do anything. If Latinos were given the opportunity and acceptance, the process of change would be easier. I loved the article, I will look for your books and I am proud to be a Latina, and having 4 Latinitos makes me work harder to help others. Thank you for the great reflection. I am challenged in my own family to celebrate our heritage. My husband is a Mexican (now legal) immigrant and I am second generation German. 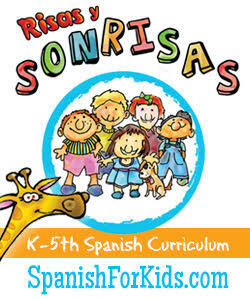 Our children have such a great opportunity to know and live these cultures (and languages) in their daily lives. We try hard to celebrated culture in many ways and to show our kids the beauty of diversity and the challenges of being non-white in our culture. These sorts of blog posts give me strength and stamina to know that our family's experience and culture is unique and worthwhile. THANK YOU!